cocoa Archives - What the Forks for Dinner? 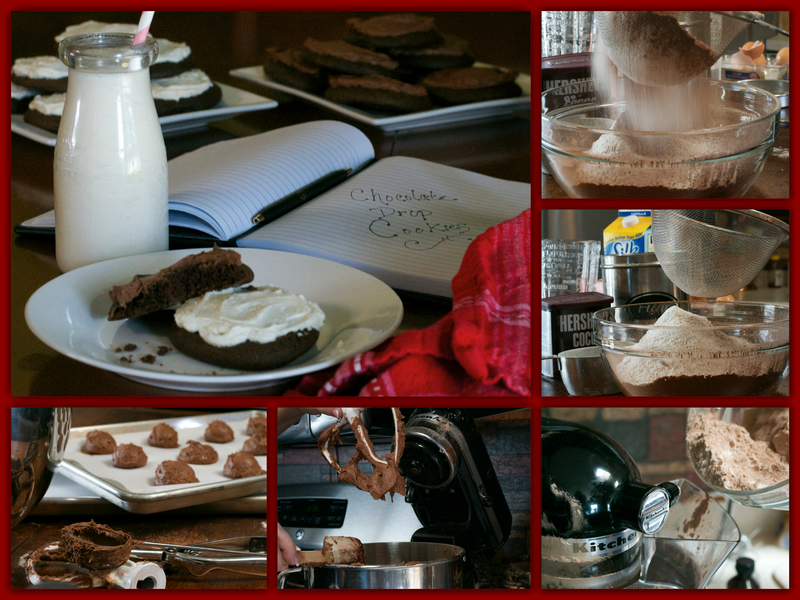 Cookies…..who doesn’t love a cookie? Well of course no one!! 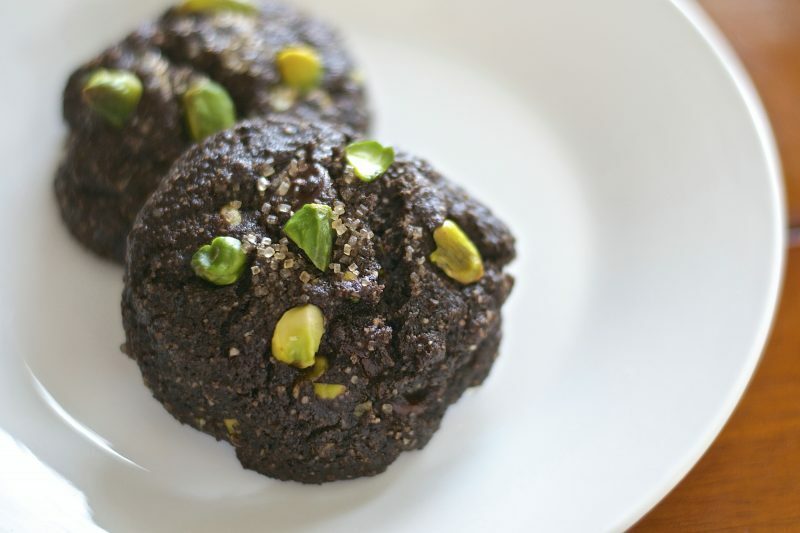 These Chocolate Drop Cookies bring back memories from my childhood…….she says with a far away look in her eyes remembering a time long ago…….and by the way, I do mean a longgggg time ago. We all have that Mother, Grandmother, or Aunt who could bake the best cookies. For me that person was my Aunt Marcella. Whenever we went to her house there was always cookies. Out of all the cookies her Chocolate Drop Cookies were always my favorite. 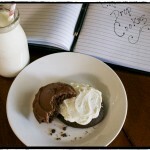 Chocolate cookies with vanilla frosting……..heaven! Now, I have had this recipe for years and as I said in an earlier post, my friend Jeanne helped me retrieve some of my lost recipes from the archaic word program that they were trapped in. I still cannot thank Jeanne enough…….maybe I should take her some cookies? When I decided to make these, I read and reread the recipe, but something was missing. So, I called my Aunt Marcella, she said she hadn’t made these in a long time. But, while on the phone chatting about family news she found the recipe, and I discovered the missing ingredient. I love my Aunt Marcella <3. I do admit, that I tweaked the recipe just a smig. I used almond milk instead of regular milk, and I adjusted the amount of cocoa. The original had heaping tablespoons and I wanted to give it a more accurate measurement. I also used a slightly different frosting. I think back in the day powdered sugar icing was just powdered sugar, a little vanilla, and water to thin. I made a buttercream frosting in both white and chocolate. I severely undercooked the first batch………they were like cookie batter with a crust…….ok, so they were really tasty, Tim and I ate several of them, but they needed a longer cooking time. These cookies remind me of the top of a cupcake, slightly crisp, and all soft inside. I guess they are kinda a cup-cookie……lol……..maybe I will start a new craze! 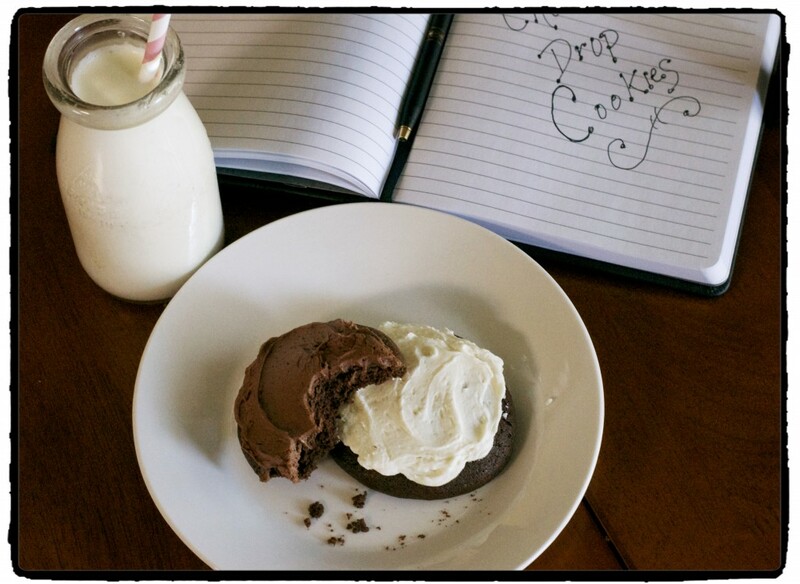 The cookies are great on there own, but add some frosting and yum, yum ,yum! 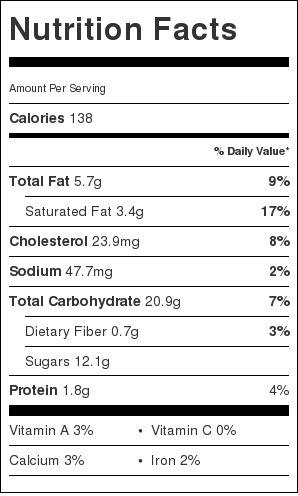 I was in a sugar comma yesterday………from tasting the batter, the frostings, and testing the cookies, and taking bites out for pictures…….lets just say I have had my sugar quota for a month……..or at least until later today!!!! Line baking sheets with parchment paper. Set aside. Sift together flour, baking soda, and cocoa. Set aside. In the bowl of a stand mixer, with a paddle attachment, or with a hand mixer, beat butter and sugar until creamy. Add eggs one at a time, and vanilla mixing until well incorporated. Add dry mixture alternately with milk until well mixed. Drop batter by spoonful on to lined cookie sheets. I use an ice cream scoop for uniform cookies. Bake in preheated oven for 12-15 minutes. Remove from oven and let cool for 2-3 minutes, then removed from baking sheet to cooling rack. Frost with Buttercream Frosting . Mix softened butter on medium speed with an electric or stand mixer. Beat for 30 seconds until smooth and creamy. Add powdered sugar, heavy whipping cream, and vanilla and almond extracts. Increase to high-speed and beat for 3 minutes. Add more cream if needed for spreading consistency. For Chocolate Frosting: Add 1/2 cup cocoa. You may need to add a touch more cream. 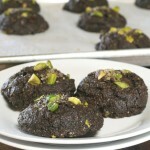 As promised…………..Gluten Free Double Chocolate Pistachio Cookies………. If anyone could tell these are gluten free I would eat my hat! These are some of the best cookies we’ve ever eaten. 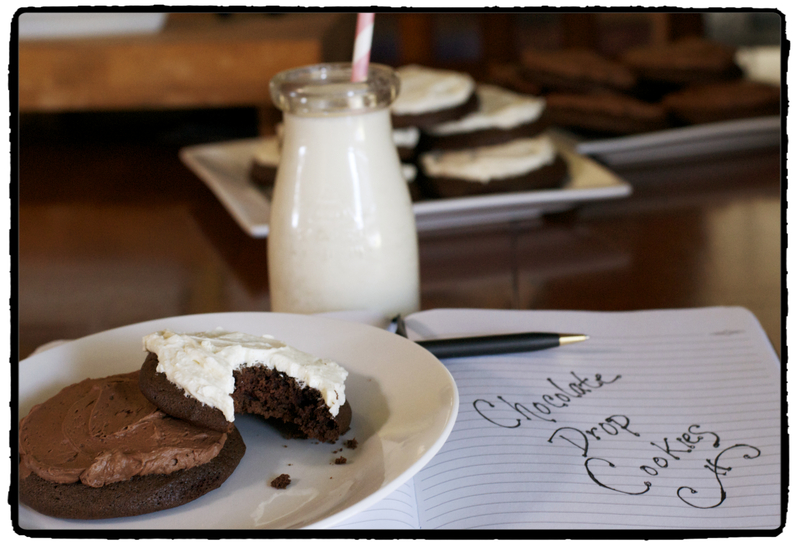 Double chocolate, crispy on the outside, and fudgy on the inside………a totally perfect cookie. A wonderful treat for those with a gluten intolerance and for those without. Pistachios………you would think for all the cooking and baking I have done in my life I would have tried pistachios………but no, and neither had Tim. Well, unless you count the “Watergate Cake” that was popular when I was in my early twenties. It was made with pistachio pudding. After tasting them lets just say the pudding does not do justice to these little green nuggets. They are wonderful and I will definitely be searching for other ways to use them. Another thing that I like about this recipe, is that it doesn’t make a huge amount of cookies. It makes ten or so, which is perfect. Enough to share if you are so inclined, but not so many that you are eating them for a month…….like they would last that long at our house…..lol. 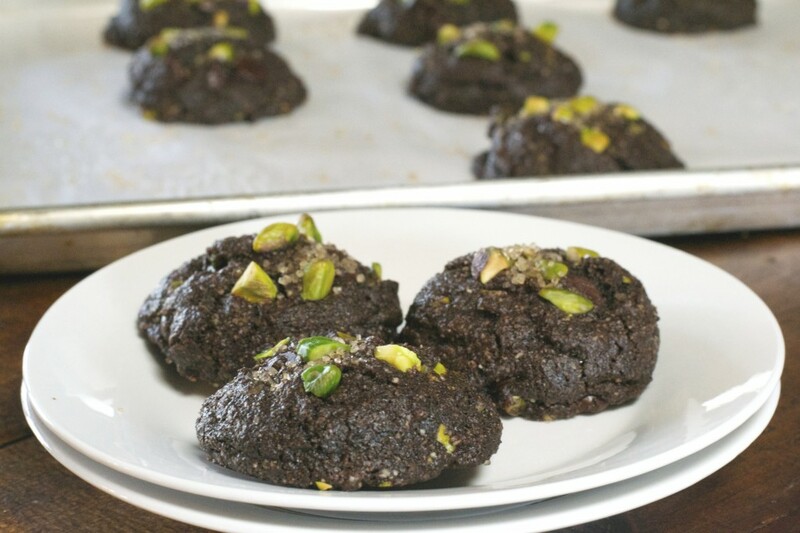 So, whether you need a gluten free cookie or not these are a a chocolate lovers delight and a pistachio lovers dream all in one yummy cookie! Combine flour, cocoa powder, baking soda and sea salt in a bowl then set aside. In a separate bowl beat coconut oil with a hand/stand mixer until creamy then add in sugar. Beat in the egg and vanilla extract. Pour in dry ingredients and stir with a wooden spoon until well combined. 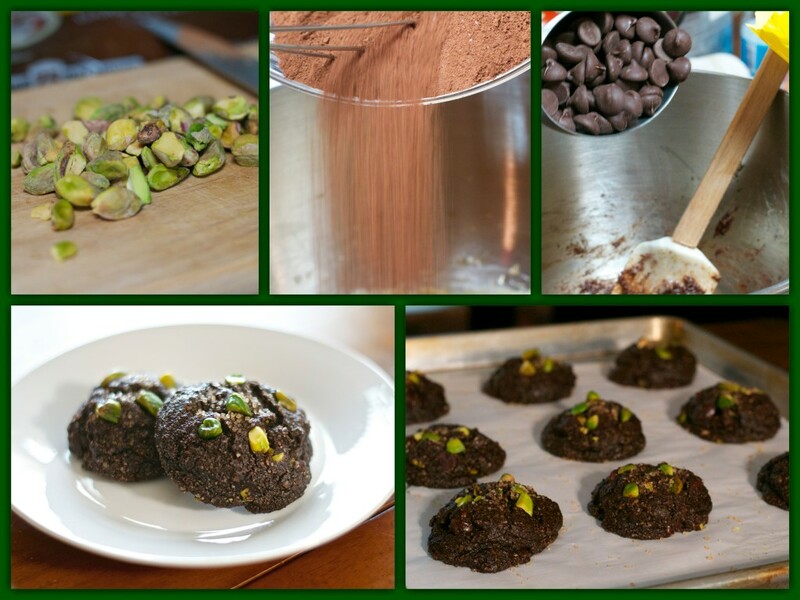 Fold in chocolate chips and pistachios. Using an ice cream scoop, scoop batter on a parchment lined cookie sheet. Place in the fridge for 1 hour. Preheat oven to 350 degrees Fahrenheit. Bake cookies for 10-12 minutes, then let cool for 5 minutes before transferring to a cooling rack.